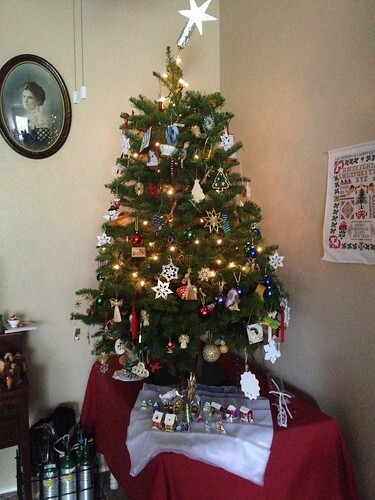 Our tree! And stuff. was posted on December 7th, 2013 at 1.40pm and is filed under Blog, Handmade. This entry has no comments (yet). You can follow any responses through the RSS 2.0 Feed. 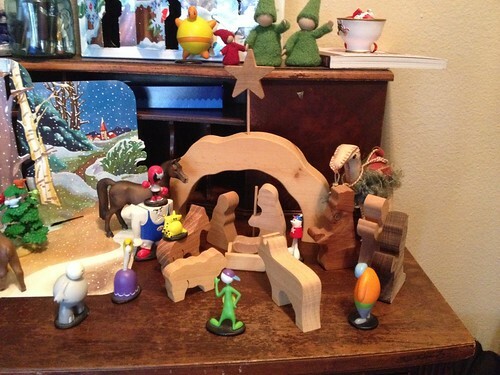 And here’s our Nativity Scene. Strong Bad and his pals attend every year! 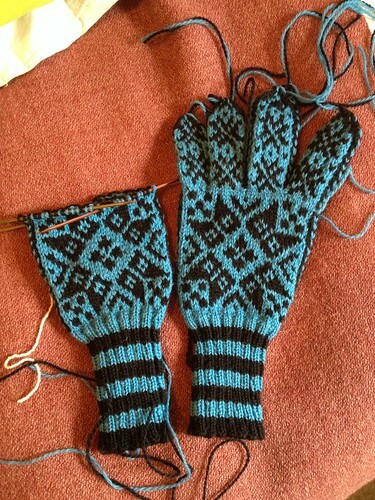 Also, now that I’m finally feeling better, I’ve been working on Dan’s gloves. He now lives in a place that gets actual winter and I don’t want his hands to be cold. I bought conductive thread for the fingertips so he SHOULD be able to use his iPhone without taking off his gloves.